As expected the Democratic Party won the majority in the US congressional elections, while the Republicans held on to their majority position within the Senate. As a result, President Donald Trump is on a weaker position today than ever before in his nearly two years in office, which has been highly divisive and polarizing for the voters. The 2018 midterm election results were truly a verdict on his presidency than anything else. Matthew Whitaker, who was Sessions’ chief of staff, will fill the position. He is known to be against Mueller’s investigation. As acting attorney general, Whitaker will be able to reject requests — such as for more funding or for subpoenas — from the special counsel’s office. According to the CNN, Whitaker could use this authority as a potential way to reign in special counsel Robert Mueller without firing him outright, should he choose to do so, although his plans for handling the Russia investigation are still unclear. Trump’s problems, however, don’t end with the Mueller probe. He has been keen on strengthening ties with Saudi Arabia, a longtime American ally. 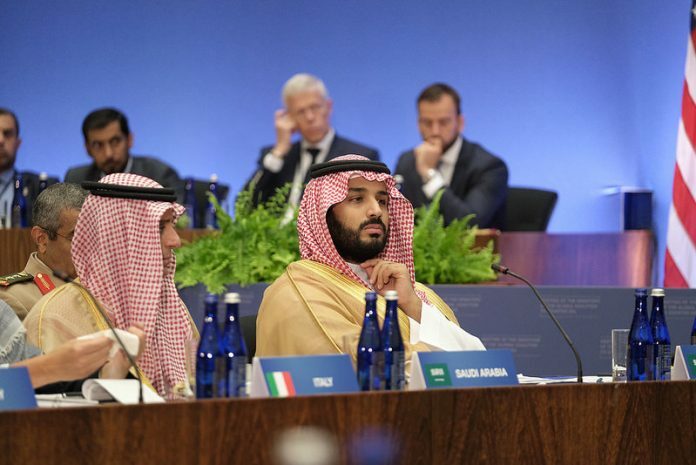 There, the young crown prince Muhammad bin Salman (MBS) outmaneuvered his rival in 2017 to consolidate his position. According to the Washington Post and the New York Times, the Central Intelligence Agency has recently concluded that the Saudi crown prince ordered the killing of Mr. Khashoggi, according to American officials. The C.I.A. made the assessment based on the crown prince’s control of Saudi Arabia, which is such that the killing would not have taken place without his approval and has buttressed its conclusion with two sets of crucial communications: intercepts of the crown prince’s calls in the days before the killing and calls by the kill team to a senior aide to the crown prince. The Turkish authorities had a 15-minute audio recording where the Saudi “hit-squad” team could be heard discussing and reviewing their plan, and reminding each other of their duties, showing the strongest evidence of the premeditated nature of the killing. In that recording, Khashoggi’s “desperate attempts to survive” could be heard. The increasingly definitive assessment from the CIA creates a problem for President Trump, who does not want to jeopardize $110 billion arms deal with the desert kingdom. He has tied his administration to MBS and proclaimed him the future of Saudi Arabia. But the new assessment by the C.I.A. is sure to harden the resolve of lawmakers on Capitol Hill to continue to investigate the killing of Mr. Khashoggi and punish Saudi Arabia. A bipartisan group of US senators has already introduced legislation seeking to punish Saudi Arabia over Khashoggi’s murder and the kingdom’s role in the devastating war in Yemen. The move came hours after the United States slapped economic sanctions on 17 Saudis, including top aide of MBS, Saud al-Qahtani, allegedly involved in the killing of Khashoggi inside the kingdom’s consulate in Istanbul. The move came after Riyadh’s public prosecutor said five out of 11 suspects are facing a possible death sentence in the case. US Vice President Mike Pence has said the US will hold the murderers of Jamal Khashoggi to account, following reports in US media that Saudi Crown Prince MBS ordered the killing. Mr. Pence described the murder of the Saudi journalist as an “atrocity” and an “affront to a free and independent press” but declined to comment on classified information.